What happens when you put a rule abiding individual with one who has no respect for the rulebook whatsoever together? Well if you say chaos, loads of fun and definitely craziness, you are correct. The Heat has all this and lots more. 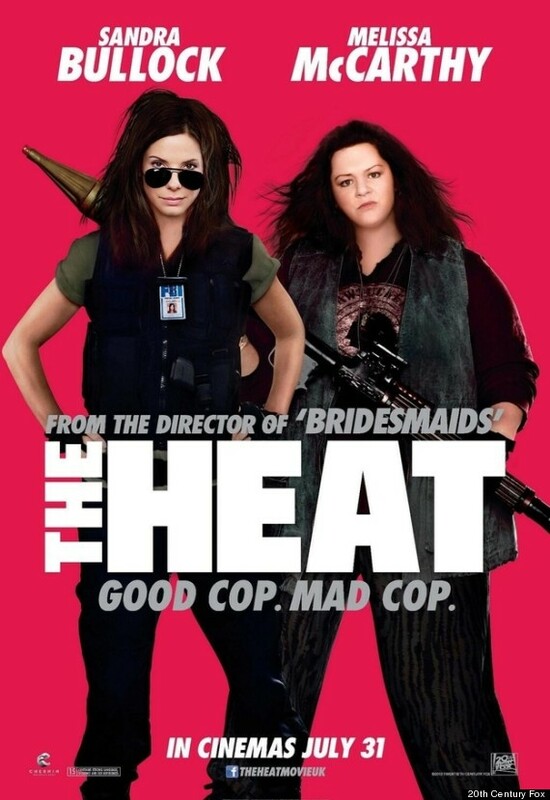 Starring Sandra Bullock as FBI Agent Sarah Ashburn and Melissa McCarthy as Boston Cop Shannon Mullins, The Heat is an R-Rated comedy movie with some amount of action and a lot of wacky dialogues. Sarah Ashburn is a smart FBI Agent who loves to follow the rule book but knows little about making friends. On the other hand, Shannon Mullins is a crazy cop who doesn’t mind breaking the law herself in order to protect the neighbourhood she lives in. As a drug dealer hits the streets of Boston, Sarah is transferred to Boston to solve the case. The case is important to Sarah as solving it could be her only chance to get promoted. As she reaches Boston and starts working on it, she realizes that it would not be an easy task. Since Shannon is in love with her neighbourhood, it means that she stands in the way of Sarah. At first, Sarah and Shannon don’t go along well, their personalities being the obvious reason. As they realize that things would be better working together, they somehow manage to put their differences aside for a bit. The case which seems simple at the start, gets complicated as things unfold. The series of events that follow are fun to watch. The small fights between Sarah and Shannon are hilarious and the dialogues are crazy. Since the movie is R-Rated, let me tell you the language used in certain portions of the movie are vulgar. The bar scene where both the characters go wild and crazy is fun to watch. The storyline might not be the strongest but the dialogues are good. Sandra Bullock proves yet again why she is a wonderful actress. Melissa McCarthy however steals the show here. Not only is her comic timing amazing but her dialogue delivery and acting skills must be praised. Marlon Wayans has a short supporting role in the movie and plays his part well. Dan Bakkedahl as the Albino undercover cop is hilarious and his scenes with Sandra and Melissa will leave you at the edge of your seat. Demian Bitchir, Michael Rapaport and Thomas F. Wilson have done justice to their role as supporting actors in the movie. Overall the movie is worth a watch, especially if you haven’t laughed your hearts out for a while.